Today, Apple has launched an all-new 10.5-inch iPad Air tablet. 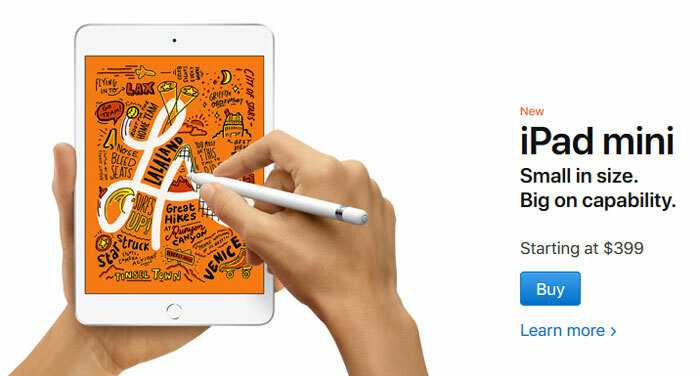 Additionally, Apple has updated its iPad Mini line. 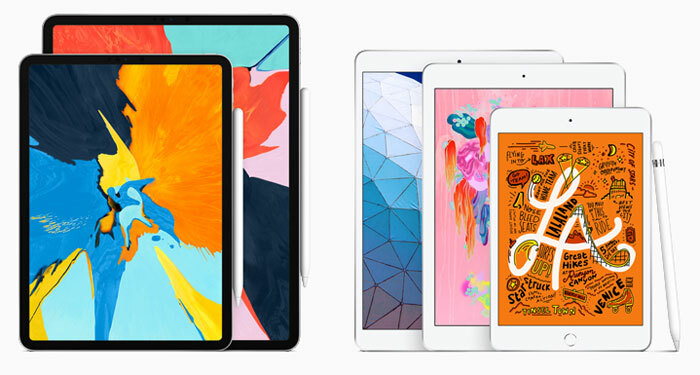 Both the iPad Air and Mini ranges seem to have been neglected of late, and previous models are quite long-in-the-tooth. 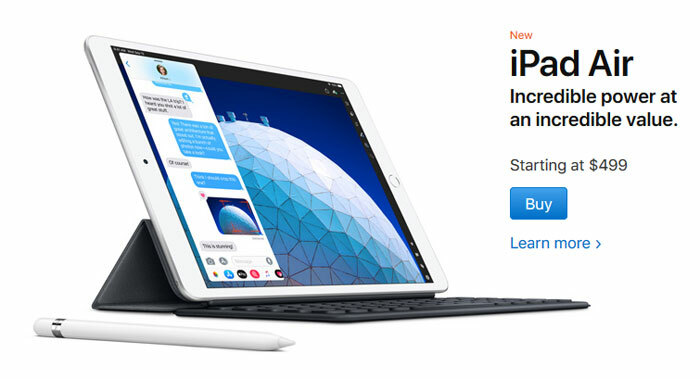 The all-new models come packing Apple's latest mobile technology such as the A12 Bionic Chip with Neural Engine, brighter laminated displays, and Apple Pencil compatibility. Both new iPads seem to lack FaceID, relying on the Home button for biometric security. The new iPad Air is based upon a 10.5-inch screen, up from the Air 2's 9.7 inch display. This 'True Tone' display is fully laminated, so there will be little gap between your touch and the pixels. It packs 2224-by-1668 pixels for 264ppi. The screen supports wide colour gamuts and can provide up to 500nits of brightness. A fingerprint-resistant oleophobic coating and Apple Pencil compatibility wrap up the display specs. Inside you will find Apple has equipped an A12 Bionic processor with Neural Engine and M12 coprocessor. This processing power delivers a 70 per cent uplift compared to its predecessor, says Apple. 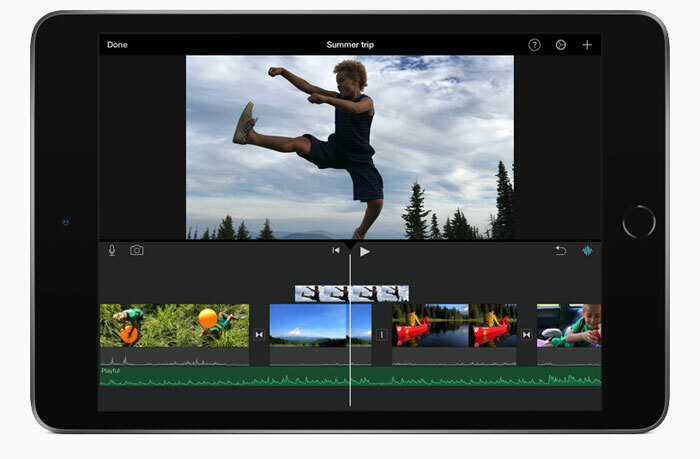 Processing power is sufficient for editing 4K films, AR experiences, streaming HD movies, and responsive Apple Pencil use according to Phil Schiller, Apple's SVP of Worldwide Marketing. Apple provides a choice of 64GB or 256GB of storage. Furthermore, the new tablets feature the same Wi-Fi performance and Gigabit‑class LTE connectivity as their Pro siblings. Apple boasts of the advanced cameras in the new iPads with "exceptional low-light performance and HD video recording". The cameras are ideal for Group FaceTime calls, and with advanced sensors, document capture, and even immersive AR experiences, according to the press release. Whichever model you choose the main (rear) camera is an 8-megapixel camera, ƒ/2.4 aperture unit, and the FaceTime camera is a 7-megapixel f/2.2 unit. Apple's all-new iPad Mini boasts the same upgrades and extra features that the new iPad Air has, except for the screen, of course. The iPad Mini screen has a 7.9-inch diagonal, and offers 2048-by-1536 resolution for 326ppi. Its 500nits max brightness is 20 per cent brighter than its predecessor's screen. You can buy the all-new iPad Air or iPad Mini (Apple Store direct links) in silver, space gray and gold options, with 64GB and 256GB storage choices. The new iPad mini starts at $399 (£399 in the UK) for the Wi-Fi model, while adding cellular connectivity (eSIM / Nano-SIM) will cost $529 (£519). The new iPad Air starts at $499 (£479 in the UK) with Wi-Fi, or from $629 (£599) for the Wi-Fi & Cellular models. While I do like the idea of the mini with the stylus (it's a stylus, doesn't matter what you call it…) it is a tad overpriced and that's before the second ‘brexit’ extra they've stuck on top in case the exchange rates change.